Razorpay was founded in the year 2013. Razorpay provides online payment solutions by facilitating developer’s friendly API and integration process. It also provides integration suites for various backend technologies. The Razorpay provides payment solutions targeting e-commerce business. Razorpay is made in India and widely used in India. Razorpay is also emerging as a global payment solution covering countries across the globe. 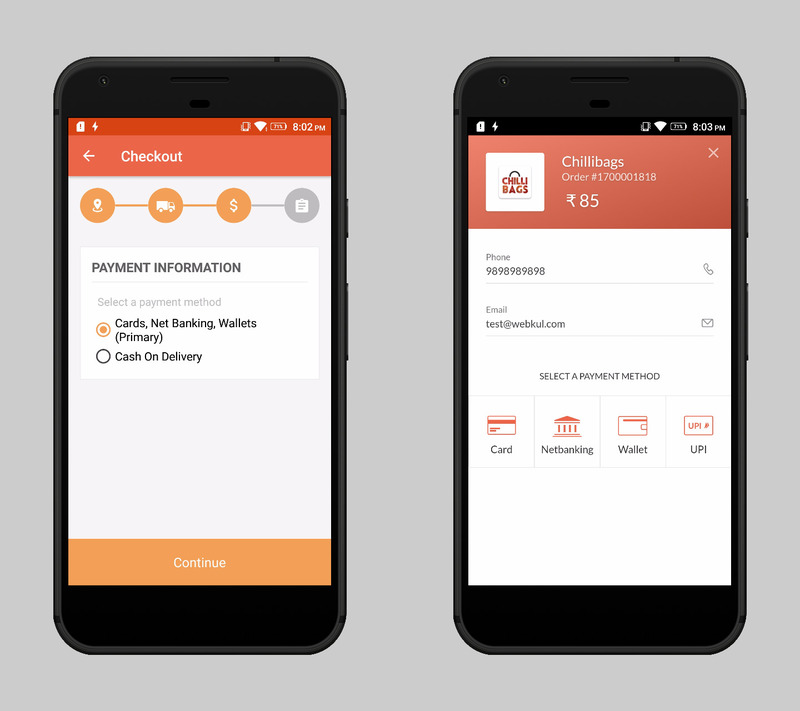 Easy checkout and card saving facility. Razorpay is PCI DSS Level 1 compliant and safely stores saved cards for maximum security. Mobikul Supports Razorpay. If you are using Razorpay in your online web store then you integrate it with Mobikul mobile app of your store. Mobikul Supports Razorpay and many other payment gateways which you require. You can check for all supported payment gateways supported by Mobikul by clicking here.